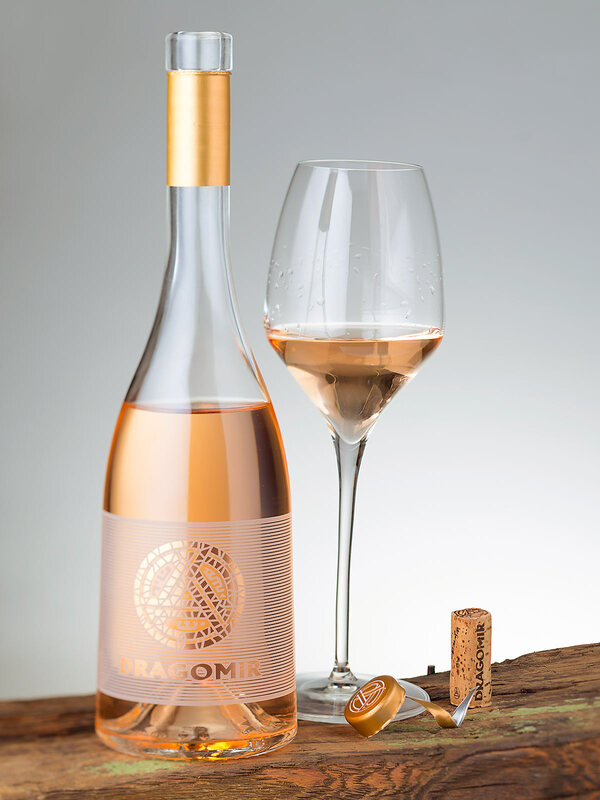 Dragomir Rose is a wine made with passion and knowledge by one of the most interesting and of course famous wineries in small Bulgaria – the Dragomir Estate Winery. 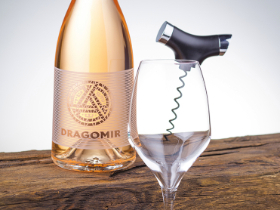 Run by a family of two oenologists, Dragomir won its reputation of modern boutique winery. This Rose is not something out of the picture – It is as special and intriguing as everything they have done so far. When I received their request it took me a lot of time to think what kind of design to do for them. Well when a wine is special that much, then creating just a label is not enough. 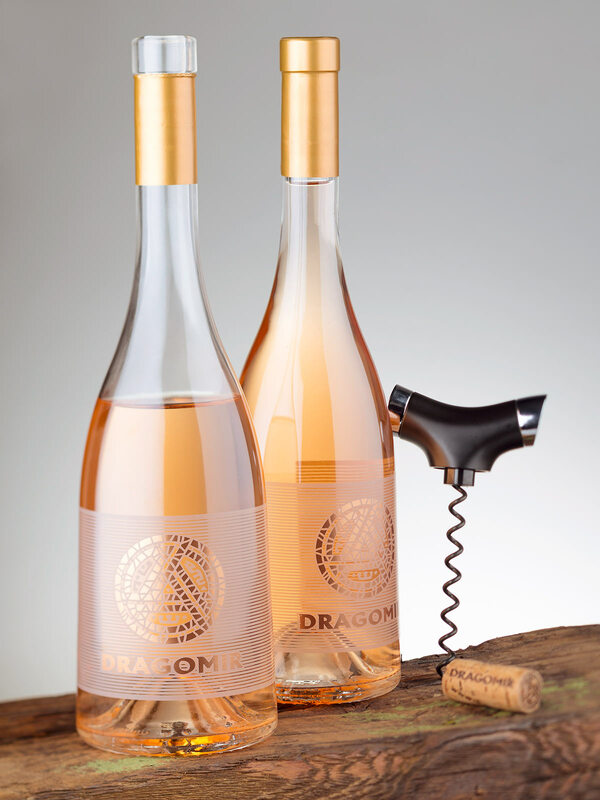 I wanted to think out of the box and to create elegant bottle design based on Dragomir’s logo I did some 10 years ago. We place their large logo only on their super premium wines like Dragomir Reserve. This time it was different – no paper, no label, just print on the bottle. Considering the transparency of the clear glass it was even more difficult and challenging. In fact this was my second try to work directly on the glass – funny, but my first time was with another impressive wine – the AK Rose. Started with only a logo on the front the whole bottle design of the Dragomir Rose looked too ordinary so I decided to create a very elegant background behind the logo. I didn’t want to hide the incredible fresh light rose color of the wine so designed a pattern of semi-transparent matt lines. I was unable to make good simulation on screen so it was kind of risky for me and for my client. We had to rely fully on our own imagination of how it would look in real. The logo was overprinted with fancy yet classy copper foil. The back label was printed on clear foil and the capsule was the same copper color as the logo. Printing on glass directly usually takes more time so while waiting for the ready bottles I almost lost my patience and my worries about the risks in this design completely dominated my mood. At the end it was all perfect. The Dragomir Rose is one of those designs I did that I am really proud of. My work was more than well received by the wine audience and all our efforts, hopes and worries really paid off with this non-traditional design – still one-of-a-kind on our domestic wine stage.